What to do “Fore!” dad? It appears that April showers do, in fact, bring May flowers. The mountain top is in full bloom right now and boasting a variety of brilliant greens, anticipating a much desired summer season. In the meantime, the temperature has been perfect and now is the ideal time to plan a nice weekend getaway. What would one do? Why, golf, of course! Although there are many various golf courses in Garrett County, 2 of the most easily accessible here at lake are Wisp Golf Course and Lodestone Golf Course. The boys taking advantage of the weather to play @ Wisp! Lodestone Golf Course, a new course to our area, is located on a mountain ridge on top of Wisp Mountain. This course is a Hale Irwin Signature design in collaboration with golf architect Todd Schoeder. What exactly does this mean? I was curious. It seems that Hale Irwin is an American professional golfer and one of the few in history to win 3 U.S. Opens. He later developed a career as a golf course architect, designing some of the most prestigious and challenging courses to date. With Father’s Day quickly approaching next month, now is the perfect time to plan dad’s golfing weekend getaway! We have many amazing homes that are just minutes away from both courses. Call us here Taylor-Made Deep Creek Vacations (1-866-351-1119 or go online www.deepcreekvacations.com) and let us know what you are looking for and we will do our best to find the perfect vacation home for you. Make it a couple’s getaway and we can recommend some fantastic massage and spa options for the women in the group. Summer is just around the corner so now is the time to begin planning that unforgettable family vacation. We can’t wait to see you at the lake! Deep Creek Lake: The place to be!! 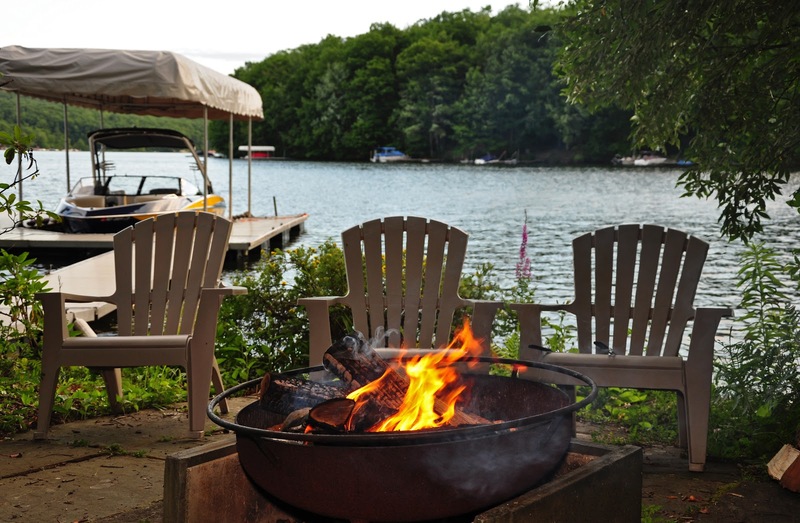 The Top 10 Reasons to Choose Deep Creek Lake as Your Next Vacation Getaway! 2. Swallow Falls State Park! Housing the largest waterfall in the state of Maryland, Swallow Falls State Park is a must see natural phenomenon for our area. With miles of mountain bike and hiking trails, it’s the perfect place to spend the day and enjoy Mother Nature! Zach @ Deep Creek State Park! 4. We are kid friendly! Both Funland and Smiley’s Fun Zone are the perfect place to take the kids for the day. Both offer go-carts, miniature golf, arcade games and more! Hungry? Have lunch at Smiley’s or DC Pizza, which is attached to Funland. 5. The Adventure Sports Center International (ASCI)! This man-made river channel is the only mountaintop white water rafting course in the world. It’s ideal for beginners, families and paddling enthusiasts. Not sure if it’s your “thing”, they also manage Fork Run Recreation Area that offers over 500 acres of forest where guests can rock climb, hike, mountain bike, or take geocaching tours. 6. Festivities Galore! The Art & Wine Festival, The Highland Festival, The Garrett County Agricultural Fair, Octoberfest and Autumn Glory are just to name a few of the events that take place throughout the year in our area. 7. Fallingwater & Ohiopyle! Designed by America’s most famous architect, Frank Lloyd Wright, this home stretches over a 30’ waterfall and is a National Historic Landmark (so famous in fact that Brad and Angelina closed the place down a few years ago so they could take their own personal tour of the home!) Located approximately 35 minutes from Deep Creek, it’s a nice day drive for the family. While there check out the little town of Ohiopyle which offers white-water rafting and eclectic assortment of neat shops and restaurants. 8. Cranesville Swamp! Located near bordering West Virginia, this swamp is 1,600 acre preserve that is known as one of the last boreal bogs in the southern United States. Visitors can walk along the guided trails and boardwalk. Bird watching and nature lover enthusiasts will quickly fall in love the beautiful surroundings offered here. 9. Small town charm! Oakland, our county seat, is located a mere 15 minutes from the lake. Here visitors can stroll through downtown where they visit charming shops, antique stores and dining establishments. 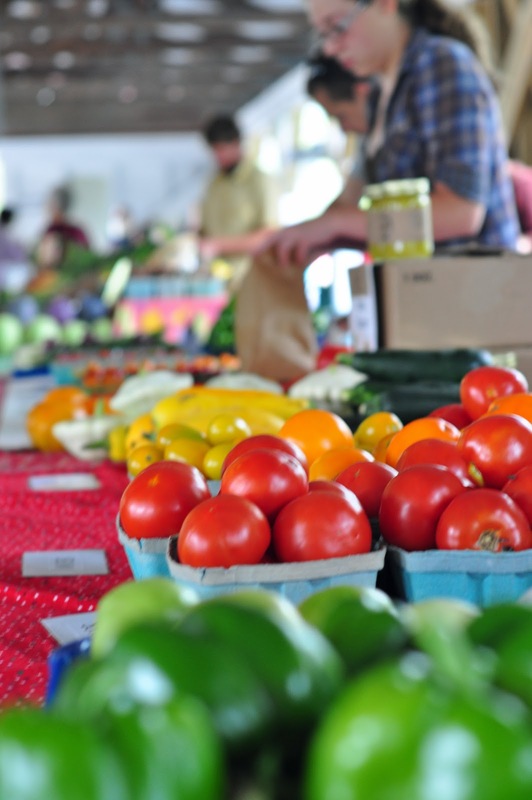 In the summer, guests can head over to the town pavilion where a local Farmer’s Market is set up. Fresh produce, Amish baked goods plus an assortment of crafts and other goods are available for purchase. 10. The Lake! Boating, fishing, jet-skiing, tubing, swimming, kayaking, and paddleboarding are all fun and exciting activities to do here at Deep Creek! Rent or bring a boat and spend the day zipping around the lake. Many restaurants have dock side dining for easy convenience. Surrounded by plush mountains, you will quickly fall in love with all that is Deep Creek! Call us today at Taylor-Made Deep Creek Vacations (1-866-351-1119) or go online at www.deepcreekvacations.com to begin planning your future stay at Deep Creek Lake! 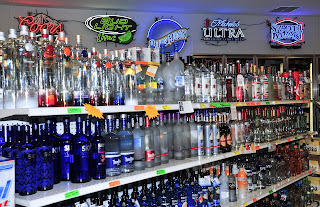 Taylor-Made Deep Creek Vacations would like to give a shout out to Deep Creek Beverage, one of the newer beverages shops offered here at Deep Creek Lake. 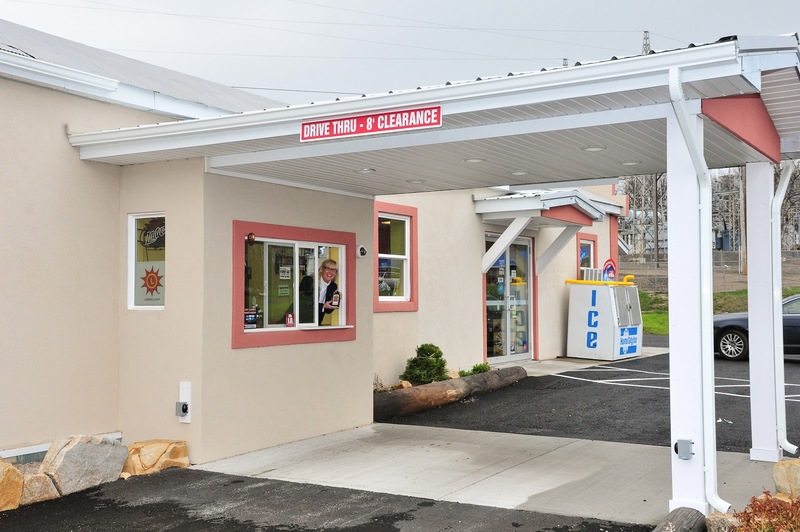 Owned by Margaret and James Lascaris, they have brought to the area a wonderful beverage shop that also offers the convenience of a drive thru window. One of the most frequent questions we receive here at Taylor-Made Deep Creek Vacations, besides asking for local directions, is “Where is the nearest beverage store?” Whether you are looking for wine for that special romantic dinner, champagne to toast with a loved one, or beer for the big football game, Deep Creek Beverage has everything you may need. Located beside Archie’s Barbeque (http://archiesbbq.com/index.php), it’s a convenient stop while you are on your way into McHenry and the surrounding Deep Creek area! 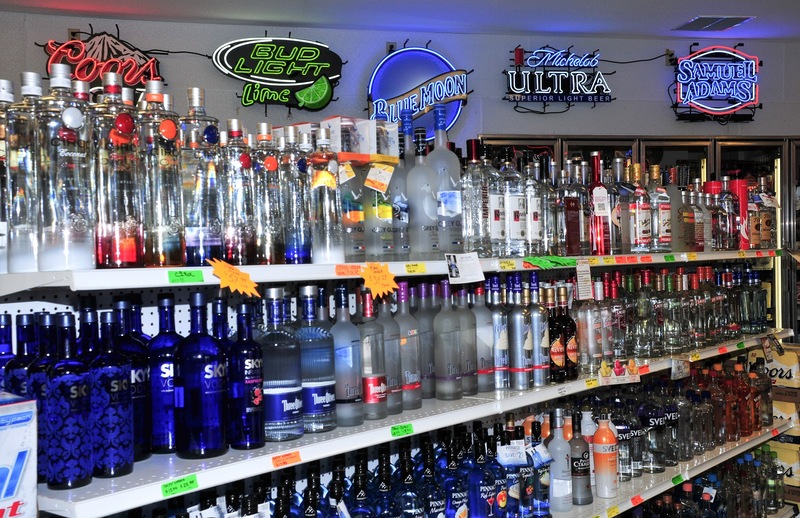 Every Tuesday-Thursday, they offer “Happy Hour” discounts on various items throughout the store. Stop in and see what awesome specials they are offering on that given day! In the fall season, Deep Creek Beverage offered its guests beer tasting and they hope to continue to not only offer this but wine testing as well. Did I mention the convenience of getting your order through the drive thru? With the quirky and delightful sense of humor that they bring to their business, they like to describe it as the “oldest drive-thru”, true in the sense that they are the only beverage shop with a drive thru here at the lake! Stop in and say “Hello!” Not sure what you are in the mood for? Margaret, James, and staff will be more than happy to help you find exactly what you are looking for! Again, a big shout out to Deep Creek Beverage! Memorial Day is quickly approaching and vacation rental homes are going quickly! Call us today at Taylor-Made Deep Creek Vacations to speak to one of our Reservationist who will happily help you find just the right home for you and your family! Docks are going in, the weather has been bright, sunny and warm and the mountains are turning bright green and waking up! Now is the perfect time to visit us! We can’t wait to see you here at the lake!